When it comes to appearing on the popular game show Jeopardy, Canadians need not apply. Longtime host Alex Trebek is a Canadian, born and raised in Sudbury, Ont. The show's website includes a question in its FAQ section on whether Canadians are eligible to take the contestant test. The website says the show is currently "precluded from accepting registration information from Canadian residents." It goes on to say the show is evaluating the matter but does not indicate why. Media reports quote the show's producers as saying the problem is due to international laws governing how information is shared over the Internet. 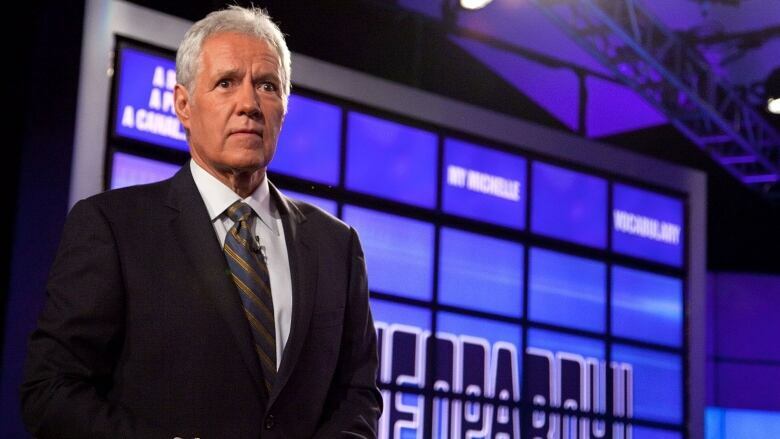 The longtime host of Jeopardy, Alex Trebek, is a Canadian, born and raised in Sudbury, Ont.